Reduce the back breaking job of gathering leaves manually with brand leading Stihl and Honda leaf blowers for both domestic and professional use. 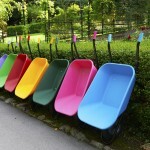 The job gets done in far less time and with far less effort. 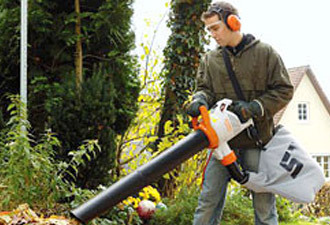 We have a choice of Stihl leaf blowers as well as a newly introduced environmentally friendly 4 stroke Honda leaf blower. Stihl leaf blowers are high performance machines to help you forcefully eliminate wet layers of leaves and tackle clippings, small branches and grass. Stihl leaf blowers are ergonomically designed, easy to operate and a dream to start thanks to Stihl ErgoStart being a standard feature on all handheld blowers. There is a whole range of Stihl SH vacs. Powered by a low emissions engine, the new SH 86 C-E professional shredder vac/blower has increased vacuum power and shredding performance that will blow you away. Fuel efficient and operator-friendly, this shredder vac easily converts into a handheld blower. 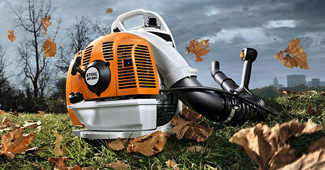 Equipped with features like a special shredder blade on the fan wheel that reduces garden waste, along with the STIHL ErgoStart system, soft grip handles and a four-spring anti-vibration system – you have all the necessary comfort elements to ensure a smooth start and help reduce operator fatigue. 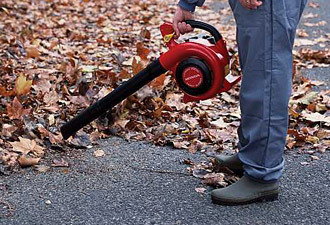 When fallen leaves spread across the lawn, decking or garden paths, the new HHB25E 4 stroke Honda leaf blower helps get things in order in record time. Its powerful 25cc Honda 4 stroke engine is quieter and more environmentally friendly, producing up to 85% less emissions compared to a normal 2 stroke engine. The light and compact HHB25E makes clearing up a breeze, with cruise control switch, elastomer hand grip and clean, quiet performance from the easy starting GX25 4 stroke engine. Our Stihl Leaf Blowers and Honda Leaf Blowers are available in all of our stores, in the counties of Suffolk, Norfolk, Essex, Cambridgeshire, Kent, East Sussex, West Sussex, Surrey and Hertfordshire.